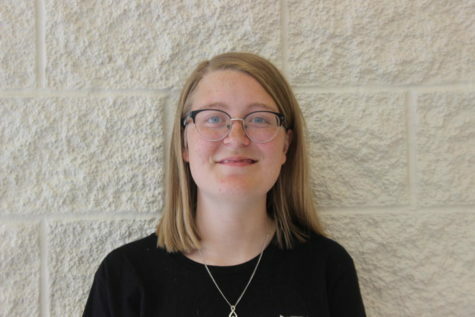 Maci Weathers is a junior, and this is her second year on the newspaper staff. Weathers wanted to join newspaper because she said it looked fun. After high school Weathers wants to attend Baylor University, major in journalism and minor in criminal justice. Extra interest: Involved in band and key club. Favorite Quote: "Be a voice not an echo."